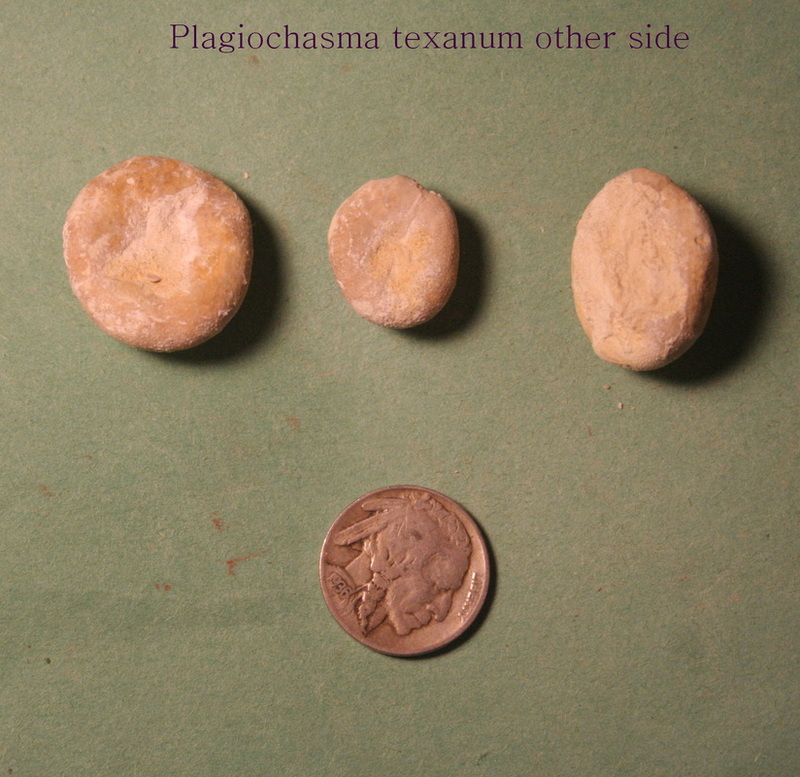 Plagiochasma texanum is a newly named Texas echinoid from the Cretaceous period. 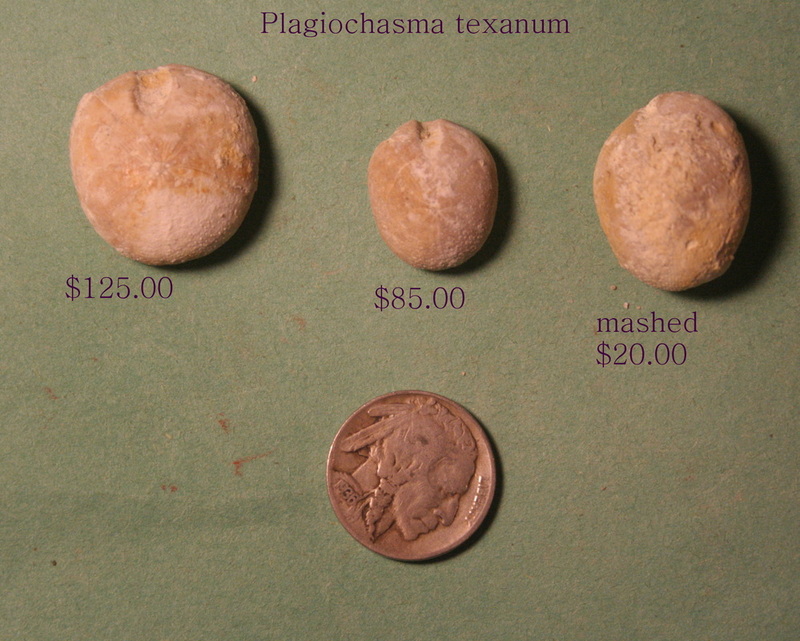 It is found in the Glen Rose formation. It is very rare and known in only 2 collecting sights. I have access to one of these. I have 3 specimens at present. None are perfect, but 2 are very nice. The ones shown above have already been sold. Below are pictures and prices of the others available at present. Shipping is 4.00 for domestic shipping-insurance can be added by purchaser. And these are available for foreign collectors. Shipping to foreign countries is $23.95 Priority shipping. And other fossils can be added to a package for foreign shipping.